ConferenceSeries Ltd invites all the participants from all over the world to attend Food & Nutrition conference during March 22-24, 2017 at Las Vegas, Nevada, USA which includes prompt Keynote Presentations, Oral talks, Poster Presentations Young Research Forum and Exhibitions. Food & Nutrition Conference is the premier event that brings together a unique and international mix of experts, researchers and decision makers both from academia and industry across the globe to exchange their knowledge, expertise and research innovations to Food & Nutrition. The event focuses on aspects such as Food Safety management system, Food nanotechnology, Food microbiology, Food storage, preservation & packaging, Food toxicology, Food fraud: detection and prevention, Nutrition, Nutraceuticals & nutrition supplements, Malnutrition & Under-nutrition, Lipid science & Technology, Nutrients & Nutrition Science, Dieticians & Nutritionists, Probiotic, Functional & baby food. ConferenceSeries Ltd organizes 1000+ Global Events inclusive of 600 Conferences, 1200+ Upcoming and Previous Symposiums and Workshops in USA, Europe & Asia with support from 1000 more scientific societies and publishes 750+ Open access journals which contains over 50000 eminent personalities, reputed scientists as editorial board members. Food & Nutrition conference invites a common platform for Deans, Directors, Professors, Students, Research scholars and other participants including CEO, Consultant, Head of Management, Economist, and Project Manager from business and industrial sectors across the world in order to establish a scientific relation between academic experts and other participants through information sharing and networking. Experts around the globe are going to meet in one platform Food & Nutrition conference to introduce advance technologies and recent scientific explorations as well as future of Food and allied fields. Eminent speakers from all around the world are going to be united to introduce the most advance researches and technologies in Food & Nutrition and other related fields. Food & Nutrition also enables a chance to conduct a workshop, symposium and exhibition to emerge new possibilities in the Food Manufacturing fields and other related sectors of Food & Nutrition. This conference will provide the sponsors for practical demonstration, product promotion and making a connection with eminent persons and other customers to receive new business line for future marketing. By this conference, people can share their views and ideas and can improve their knowledge about the advanced techniques to increase the productivity of the industries. This is an open event, we welcome and invite you to participate in this prestigious Food & Nutrition conference to make event as the best event in Las Vegas, USA. 17th International Conference on Food & Nutrition to be held during May 22-24, 2017 at Las Vegas, USA. The prestigious International Conference on Food & Nutrition to address latest innovations, industrial & modern technologies in food & Nutrition, and differentiation in market report. Food & Nutrition 2017 is the premier event that brings together a unique international mixture of experts, researchers and decision makers both from academia and industry across the globe to exchange their knowledge, experience and research innovations to build a better world of Food & Nutrition. Food is made up of nutrients. Micronutrients such as vitamins and minerals are needed only in small amounts. Macronutrients such as carbohydrates, protein and fat are needed in larger amounts. The body cannot function properly if one or more nutrients are missing. A healthy and balanced diet provides foods in the right amounts and combinations that are safe and free from disease and harmful substances Prevention is better than cure. The earlier a person starts to eat a healthy and balanced diet, the more he or she will stay healthy. Once weight has been lost it may be difficult to regain it because of tiredness and lack of appetite. 18th Global Summit on Food & Beverages October 02-04, 2017 Chicago, USA; 2nd International conference on Food Security and Sustainability June 26-28, 2017 San Diego, USA; 6th International Conference on Food Safety and Regulatory Measures June 5-7, 2017 Milan ,Italy; 2nd International Conference on Food Chemistry and Nutrition July 24-26, 2017 Vancouver, British Columbia, Canada; 2nd International Conference on Food Microbiology November 09-11, 2017 Madrid, Spain; 16th World Congress on Nutrition September 18-20, 2017 Zurich, Switzerland; 9th World Nutrition & Health Congress February 20-21, 2017 Berlin, Germany; 11th World Congress on Nutrition and Food Sciences May 29-31, 2017 Osaka, Japan; 11th International Conference on Molecular Nutrition & Dietetics June 12-14, 2017 Rome, Italy. National Association of Citrus Juice Processors, USA; American Cheese Society, USA; The Association of Food Technology, Turkey; European Food Safety Authority, Italy; Canadian Food Inspection Agency, Canada; Association of Food Science and Technology of Basque Country, Spain; Institute of Food Technologists, USA; International Wine & Food Society, UK. A Food Safety Management System (FSMS) is a network of interrelated elements that combine to ensure that food does not cause adverse human health effects. These elements include programs, plans, policies, procedures, practices, processes, goals, objectives, methods, controls, roles, responsibilities, relationships, documents, records, and resources. Asian Food Safety and Security Association, Japan; Australian Institute of Food Science and Technology, Australia; European Food Information Resource, Belgium; European Food Safety Authority, Italy; Institute of Food Technologists. Nanotechnology can be defined as the design, characterisation, production and application of structures, devices and systems by controlling shape and size at the nanometre scale. It covers a very wide range of activities, so it is probably more correct to refer to 'nanotechnologies’. Nanomaterial have been defined by the Royal Society as having one dimension less than 100 nanometres, but this is not a rigid definition and may change as the science evolves. There is increasing interest in the nanoscale because properties of such materials can be very different from those at the larger scale, and potentially very useful. This can be because materials have a relatively larger surface area, which can make them more chemically reactive. Materials at this scale can also have different optical, electrical or magnetic behaviour. The types of material produced can be at the nanoscale in one dimension (very thin coatings), two dimensions (nanowires and nanotubes) or three dimensions (nanoparticles, such as very fine powder preparations). Nanotechnologies are not new – chemists have been making polymers based on nanoscale sub-units for many years and we are also exposed to nanoparticles in daily life (such as from vehicular exhaust emissions).In their widest sense, nanotechnology and nanomaterial’s are a natural part of food processing and conventional foods, because the characteristic properties of many foods rely on nanometre sized components (such as Nano emulsions and foams). However, recent technological developments lead the way for manufactured nanoparticles to be added to food. These could be finely divided forms of existing ingredients, or completely novel chemical structures. Canadian Cattlemen's Association, Canada; Canadian Restaurant and Foodservices Association, Canada; Food and Drink Federation, USA; New South Wales Food Authority, UK; American Dairy Products Institute, USA National Frozen Food Association, USA; Institute of Food Technologists, UK; International Association of Food Industry Suppliers, USA; International Bottled Water Association, USA. Produce Marketing Association, USA; Scotland Food & Drink, Scotland; Scotty Brand Ltd, Scotland; Southern Hemisphere Association of Fresh Fruit Exporters, USA; Specialty Coffee Association of Indonesia, Indonesia; Specialty Food Association, USA; Specialty Wine Retailers Association, USA. The term food preservation refers to any one of a number of techniques used to prevent food from spoiling. It includes methods such as canning, pickling, drying and freeze-drying, irradiation, pasteurization, smoking, and the addition of chemical additives. Food preservation has become an increasingly important component of the food industry as fewer people eat foods produced on their own lands, and as consumers expect to be able to purchase and consume foods that are out of season. Dairy foods are also using forms of advanced packaging technologies to enhance shelf life. Ryan Foods, a wholly-owned subsidiary of Dean Foods that produces extended shelf life (ESL) fluid milk products, uses ESL processing and packaging to push back their "best before" dates. ESL processing and packaging employs ultra-high temperature (UHT) pasteurization. Microbiological Safety of Food Funders Group (FSA) UK, Institute of Food Research, United Kingdom, Health Department of the Generalitat de Catalunya Spain, Norwegian Food Safety Authority Norway, Ministry of Economic Affairs Agriculture and Innovation Netherlands, Federal Ministry of Food Agriculture and Consumer Protection, Germany, Food Pack Expo September 22-24, 2016 Las Vegas, USA, 7th International Conference on Food Engineering and Biotechnology - ICFEB Singapore, 12th March, 2016; 3rd International Conference on Food Security and Nutrition - ICFSN Amsterdam, Netherlands, 23rd March, 2016; 2nd International Conference on Food and Agricultural Engineering (ICFAE 2016) Copenhagen, Denmark, 11th May, 2016; Agriculture and Food 2016, 4th International Conference Elenite, Bulgaria, 20th June, 2016. 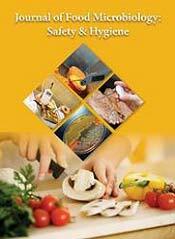 Food Toxicology is involved in delivering a safe and edible supply of food to the consumer. During processing, a number of substances may be added to food to make it look, taste, or smell better. Fats, oils, sugars, starches and other substances may be added to change the texture and taste of food. All of these additives are studied to determine if and at what amount, they may produce adverse effects. A second area of interest includes food allergies. Almost 30% of the American people have some food allergy. For example, many people have trouble digesting milk, and are lactose intolerant. In addition, toxic substances such as pesticides may be applied to a food crop in the field, while lead, arsenic, and cadmium are naturally present in soil and water, and may be absorbed by plants. Toxicologists must determine the acceptable daily intake level for those substances. 18th Global Summit on Food & Beverages October 02-04, 2017 Chicago, USA; 2nd International conference on Food Security and Sustainability June 26-28, 2017 San Diego, USA; 6th International Conference on Food Safety and Regulatory Measures June 5-7, 2017 Milan ,Italy; 2nd International Conference on Food Chemistry and Nutrition July24-26, 2017 Vancouver, British Columbia, Canada; 2nd International Conference on Food Microbiology November 09-11, 2017 Madrid, Spain; 16th World Congress on Nutrition September 18-20, 2017 Zurich, Switzerland; 9th World Nutrition & Health Congress February 20-21, 2017 Berlin, Germany; 11th World Congress on Nutrition and Food Sciences May 29-31, 2017 Osaka, Japan; 11th International Conference on Molecular Nutrition & Dietetics June 12-14, 2017 Rome, Italy. 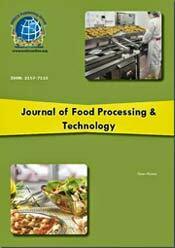 European Federation of Food Science and Technology, The Netherlands; Warwick Good Food Society, UK; International Commission on Microbiological Specification for Foods, Australia; International Union of Food Science and Technology, Canada; The Association of Food Technology, Turkey; South African Association for Food Science and Technology, South Africa. Food fraud is a collective term used to encompass the deliberate and intentional substitution, addition, tampering, or misrepresentation of food, food ingredients, or food packaging; or false or misleading statements made about a product, for economic gain. Food fraud is a broader term than either the economically motivated adulteration (EMA) defined by the Food and Drug Administration (FDA) or the more specific general concept of food counterfeiting. Food fraud may not include “adulteration” or “misbranding,” as defined in the Food, Drug, and Cosmetic Act (FD&C Act), when it involves acts such as tax-avoidance and smuggling. The economic motivation behind food fraud is distinctly different from those for food safety, food defence, and food quality. The cause of an event might be food fraud, but if a public health threat becomes involved, the effect is an adulterated product and a food safety incident. All of this is under the umbrella of food protection, which encompasses food fraud, food quality, food safety, and food defence. Here is no statutory definition of food fraud, and different countries, researchers and industry groups have defined it in various ways. However, food fraud is most commonly referred to as the intentional defrauding of food and food ingredients for economic gain. Food fraud is estimated to cost the global food industry $10-$15 billion a year. Food fraud can occur in a variety of situations. Food or food ingredients may be substituted for lower-quality, inferior ingredients, or one species for another. Food ingredients may be diluted with water, or main ingredients may be omitted or removed. Some producers deceive consumers, manufactures, retailers, and governments for the sole purpose of making money. Many consumers are not interested in how the food they consume is produced or where it comes from but are more concerned about being able to purchase food inexpensively. The lack of interest and knowledge by the consumer increases the risk of food fraud by producers and manufacturers who are solely interested in making a big profit. Although the majority of food fraud cases have not resulted in death or serious illnesses, food fraud can still be a food safety concern. Food products can be substituted with a common allergen, such as tree nuts or eggs, and can cause severe adverse reactions to consumers. Unfortunately, food fraud is not a new concept and has been going on for thousands of years. In the middle Ages, when the price of imported spices increased, merchants would substitute spices with seeds, stones or dusts. In the 18th and 19th centuries, milk was commonly diluted with water, sometimes dirty water, and colour with chalk or plaster. Over the past couple of years, there have been several reported food fraud incidents. In 2013, consumers in England, France, Greece and several other countries were duped and unknowingly purchased meatballs, burgers and other food products that contained horse meat. The suppliers of the products were aware that their products contained horse meat, but instead of declaring it on the product labels, the suppliers saw an opportunity to make money and deceive their consumers who thought they were buying beef. Institute of Food Technologists, USA; North American Meat Institute, Washington; Specialty Coffee Association of America, USA; Australian Institute of Food Science and Technology, Australia; Warwick Good Food Society, UK. Nutrition, nourishment, or aliment, is the supply of materials - food - required by organisms and cells to stay alive. In science and human medicine, nutrition is the science or practice of consuming and utilizing foods. IN hospitals, nutrition may refer to the food requirements of patients, including nutritional solutions delivered via an IV (intravenous) or IG (intragastric) tube. Nutritional science studies how the body breaks food down (catabolism) and repairs and creates cells and tissue (anabolism) - catabolism and anabolism = metabolism. 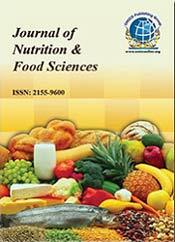 Nutritional science also examines how the body responds to food. International Conference on 9th World Nutrition & Health Congress February 20-21, 2017 Berlin, Germany; 11th World Congress on Nutrition and Food Sciences May 29-31, 2017 Osaka, Japan; 11th International Conference on Molecular Nutrition & Dietetics June 12-14, 2017 Rome, Italy; 14th International Congress on Nutritional Epidemiology and Malnutrition August 28-30, 2017 Toronto, Canada; 18th Global Summit on Food & Beverages October 02-04, 2017 Chicago, USA; 2nd International conference on Food Security and Sustainability June 26-28, 2017 San Diego, USA; 6th International Conference on Food Safety and Regulatory Measures June 5-7, 2017 Milan ,Italy; 2nd International Conference on Food Chemistry and Nutrition July 24-26, 2017 Vancouver, British Columbia, Canada; 10th International Conference on Clinical Diabetes, Diabetes care & Nutrition July 20-21, 2017 Chicago, USA; 3rd International Conference on Nutraceuticals and Nutrition Supplements July 28-29, 2017 Rome, Italy; 19th International Conference on Nutrigenetics & Functional foods November 16-17, 2017 San Antonio, USA. National Association of Citrus Juice Processors, USA; American Cheese Society, USA; The Association of Food Technology, Turkey; International Association of Engineering and Food, USA; International Union of Food Science and Technology, Canada; European Food Safety Authority, Italy; Canadian Food Inspection Agency, Canada; Association of Food Science and Technology of Basque Country, Spain; Institute of Food Technologists, USA; International Wine & Food Society, UK. Nutraceuticals is a broad umbrella term that is used to describe any product derived from food sources with extra health benefits in addition to the basic nutritional value found in foods. They can be considered non-specific biological therapies used to promote general well-being, control symptoms and prevent malignant processes. The term “nutraceutical” combines two words – “nutrient” (a nourishing food component) and “pharmaceutical” (a medical drug). The name was coined in 1989 by Stephen De Felice, founder and chairman of the Foundation for Innovation in Medicine, an American organization located in Cranford, New Jersey. The philosophy behind nutraceuticals is to focus on prevention, according to the saying by a Greek physician Hippocrates (known as the father of medicine) who said “let food be your medicine”. Their role in human nutrition is one of the most important areas of investigation, with wide-raging implications for consumers, health-care providers, regulators, food producers and distributors. 9th World Nutrition & Health Congress February 20-21, 2017 Berlin, Germany; 11th World Congress on Nutrition and Food Sciences May 29-31, 2017 Osaka, Japan;11th International Conference on Molecular Nutrition & Dietetics June 12-14, 2017 Rome, Italy; 14th International Congress on Nutritional Epidemiology and Malnutrition August 28-30, 2017 Toronto, Canada; 10th International Conference on Clinical Diabetes, Diabetes care & Nutrition July 20-21, 2017 Chicago, USA; 18th Global Summit on Food & Beverages October 02-04, 2017 Chicago, USA; 2nd International conference on Food Security and Sustainability June 26-28, 2017 San Diego, USA; 6th International Conference on Food Safety and Regulatory Measures June 5-7, 2017 Milan ,Italy; 2nd International Conference on Food Chemistry and Nutrition July 24-26, 2017 Vancouver, British Columbia, Canada; 3rd International Conference on Nutraceuticals and Nutrition Supplements July 28-29, 2017 Rome, Italy; 16th World Congress on Nutrition September 18-20, 2017 Zurich, Switzerland. Think back on everything you have eaten over the last 24 hours. Do you think that your diet is well balanced and that you are getting the appropriate nutrients you need? Proper nutrition is very important to maintaining a healthy body and mind. The body requires over 40 essential nutrients to function properly, including vitamins, minerals, amino acids, protein and carbohydrates. In addition to the quality of nutrients consumed, the body must also maintain a certain quantity of food to remain healthy. Humans must consume a certain amount of calories each day in order to maintain a productive and energetic lifestyle. A large problem facing the human population today is malnutrition. Malnutrition is when a person's diet has an imbalance of the essential nutrients that the body needs to remain healthy. This imbalance in nutrients can weaken the person's immune system and body and make them more susceptible to illnesses. Malnutrition can also cause delays in a child's physical and mental development. Malnutrition is often divided into two different types, which are under-nutrition and over-nutrition. These two different types of malnutrition vary by what the person is consuming, how it is influencing their body and the prevalence in certain regions of the world. 9th World Nutrition & Health Congress February 20-21, 2017 Berlin, Germany; 11th World Congress on Nutrition and Food Sciences May 29-31, 2017 Osaka, Japan;11th International Conference on Molecular Nutrition & Dietetics June 12-14, 2017 Rome, Italy; 18th Global Summit on Food & Beverages October 02-04, 2017 Chicago, USA; 2nd International conference on Food Security and Sustainability June 26-28, 2017 San Diego, USA; 6th International Conference on Food Safety and Regulatory Measures June 5-7, 2017 Milan ,Italy; 2nd International Conference on Food Chemistry and Nutrition July 24-26, 2017 Vancouver, British Columbia, Canada; 14th International Congress on Nutritional Epidemiology and Malnutrition August 28-30, 2017 Toronto, Canada;10th International Conference on Clinical Diabetes, Diabetes care & Nutrition July 20-21, 2017 Chicago, USA; 3rd International Conference on Nutraceuticals and Nutrition Supplements July 28-29, 2017 Rome, Italy; 16th World Congress on Nutrition September 18-20, 2017 Zurich, Switzerland. Centre for Lipid Research of CSIR-IICT is recognized nationally and internationally as centre for excellence in the area of lipid research. Vegetable oil industry is one of the major industries in the world with a huge turnover next to petrochemicals. Vegetable oils not only play a significant role in nutrition but find use in diverse applications. Centre for Lipid Research has given major thrust on basic as well as applied research. The vision and goals of the Lipids Group mainly pertain to Newer Processing Methodologies for Vegetable Oils, Oleo chemicals and Specialty Chemicals, Bio lubricants, Biodiesel and Nutraceuticals. Centre for Lipid Research is presently executing several R & D projects with the financial support of several Government Agencies and Industrial Organizations. Centre for Lipid Research has established a good rapport with the Indian Industries and CSIR has taken a decision to strengthen this group by recognizing it as “The Centre of Excellence for Lipid Research”. The Centre has established state of art facilities in the areas of Vegetable Oils and Allied Products, Biodiesel, and Lubricants in addition to some specialized pilot units. This facility caters the needs of the vegetable oil and allied product industry on par with the International Standards. The Centre for Lipid Research is also organizing several Human Resource Development Programmes for the benefit of the vegetable oil and allied industry. In the present scenario, renewable raw materials are gaining prominence offering greater opportunities for researchers to develop processes and products based on green technologies and the Centre for Lipid Research is geared up to meet the future challenges. 9th World Nutrition & Health Congress February 20-21, 2017 Berlin, Germany;11th World Congress on Nutrition and Food Sciences May 29-31, 2017 Osaka, Japan; 11th International Conference on Molecular Nutrition & Dietetics June 12-14, 2017 Rome, Italy; 14th International Congress on Nutritional Epidemiology and Malnutrition August 28-30, 2017 Toronto, Canada; 18th Global Summit on Food & Beverages October 02-04, 2017 Chicago, USA; 2nd International conference on Food Security and Sustainability June 26-28, 2017 San Diego, USA; 6th International Conference on Food Safety and Regulatory Measures June 5-7, 2017 Milan ,Italy; 2nd International Conference on Food Chemistry and Nutrition July 24-26, 2017 Vancouver, British Columbia, Canada; 10th International Conference on Clinical Diabetes, Diabetes care & Nutrition July 20-21, 2017 Chicago, USA; 3rd International Conference on Nutraceuticals and Nutrition Supplements July 28-29, 2017 Rome, Italy; 16th World Congress on Nutrition September 18-20, 2017 Zurich, Switzerland. The Nutritional Science major (formerly known as Human Nutrition and Foods) focuses on the physiological and biological aspects of foods and nutrients. Opportunities for nutritional scientists include research positions in laboratories, hospitals, and industry. This major prepares students for graduate study. The program also meets premedical and pre-dental requirements, and many students go on to professional schools. It is not necessary to complete an additional application form in order to be accepted into the Nutritional Science program. On their application to The University of Maryland, both freshman and transfer students should simply declare their major as Nutritional Science. The Nutritional Science program code for your application is 1306H. Students who are enrolled in other majors at the University of Maryland should contact the department for information about changing their major to Nutritional Science. 19th International Conference on Probiotic Nutrition and Public Health Nutrition, May 18-19, 2017, 14th International Congress on Nutritional Epidemiology and Malnutrition August 28-30, 2017 Toronto, Canada; 10th International Conference on Clinical Diabetes, Diabetes care & Nutrition July 20-21, 2017 Chicago, USA; 18th Global Summit on Food & Beverages October 02-04, 2017 Chicago, USA; 2nd International conference on Food Security and Sustainability June 26-28, 2017 San Diego, USA; 6th International Conference on Food Safety and Regulatory Measures June 5-7, 2017 Milan ,Italy; 2nd International Conference on Food Chemistry and Nutrition July 24-26, 2017 Vancouver, British Columbia, Canada; 3rd International Conference on Nutraceuticals and Nutrition Supplements July 28-29, 2017 Rome, Italy; 16th World Congress on Nutrition September 18-20, 2017 Zurich, Switzerland. A dietician (or dietician) is an expert in dietetics; that is, human nutrition and the regulation of diet. A dietician alters their patient's nutrition based upon their medical condition and individual needs. Dieticians are the only healthcare professionals licensed to assess, diagnose, and treat nutritional problems. For example, safely regulating the diet of a patient with Crohn's disease is out of physician's scope of expertise, thus a dietician must be called to permit any changes based upon their knowledge of nutritional biochemistry. Dieticians work in a variety of settings from clinical to community and public policy to media communications. 14th International Congress on Nutritional Epidemiology and Malnutrition August 28-30, 2017 Toronto, Canada; 10th International Conference on Clinical Diabetes, Diabetes care & Nutrition July 20-21, 2017 Chicago, USA; 3rd International Conference on Nutraceuticals and Nutrition Supplements July 28-29, 2017 Rome, Italy; 16th World Congress on Nutrition September 18-20, 2017 Zurich, Switzerland; 18th Global Summit on Food & Beverages October 02-04, 2017 Chicago, USA; 2nd International conference on Food Security and Sustainability June 26-28, 2017 San Diego, USA; 6th International Conference on Food Safety and Regulatory Measures June 5-7, 2017 Milan ,Italy; 2nd International Conference on Food Chemistry and Nutrition July 24-26, 2017 Vancouver, British Columbia, Canada; 9th World Nutrition & Health Congress February 20-21, 2017 Berlin, Germany; 11th World Congress on Nutrition and Food Sciences May 29-31, 2017 Osaka, Japan; 11th International Conference on Molecular Nutrition & Dietetics June 12-14, 2017 Rome, Italy. international Union of Food Science and Technology, USA; Association of Catalan Food Sciences, Spain; Ukrainian Union of Food Science and Technology, Ukraine; European Food Information Resource, Belgium; Chinese American Food Society, USA; Swiss Food Research, Switzerland; ISEKI-food Association, Austria; European Food Safety Authority, Italy. The growing awareness of the relationship between diet and health has led to an increasing demand for food products that support health above and beyond providing basic nutrition. Probiotics and prebiotics are components present in foods, or that can be incorporated into foods, which yield health benefits related to their interactions with the gastrointestinal tract (GI). While the benefits of prebiotics have come to light in more recent years, recognition of probiotic effects dates back to the 19th century when the French scientist Louis Pasteur (1822 –1895) postulated the importance of microorganisms in human life; this was further reinforced by work done by 1908 Nobel Prize-winner Elie Metchnikoff. 14th International Congress on Nutritional Epidemiology and Malnutrition August 28-30, 2017 Toronto, Canada; 10th International Conference on Clinical Diabetes, Diabetes care & Nutrition July 20-21, 2017 Chicago, USA; 3rd International Conference on Nutraceuticals and Nutrition Supplements July 28-29, 2017 Rome, Italy; 18th Global Summit on Food & Beverages October 02-04, 2017 Chicago, USA; 2nd International conference on Food Security and Sustainability June 26-28, 2017 San Diego, USA; 6th International Conference on Food Safety and Regulatory Measures June 5-7, 2017 Milan ,Italy; 2nd International Conference on Food Chemistry and Nutrition July 24-26, 2017 Vancouver, British Columbia, Canada; 16th World Congress on Nutrition September 18-20, 2017 Zurich, Switzerland; 9th World Nutrition & Health Congress February 20-21, 2017 Berlin, Germany; 11th World Congress on Nutrition and Food Sciences May 29-31, 2017 Osaka, Japan; 11th International Conference on Molecular Nutrition & Dietetics June 12-14, 2017 Rome, Italy. International Union of Food Science and Technology, USA; Association of Catalan Food Sciences, Spain; Ukrainian Union of Food Science and Technology, Ukraine; European Food Information Resource, Belgium; Chinese American Food Society, USA; Swiss Food Research, Switzerland; ISEKI-food Association, Austria; European Food Safety Authority, Italy; Dairy Industry Association of Australia. The 17th International Conference on Food & Nutrition Conference to be held during May 22- 24 2017 at Las Vegas USA.The importance of food and nutrition in human development is widely recognized in both high income and middle to low income countries. Malnutrition in all its forms amounts to an intolerable burden not only on national health systems but the entire cultural, social and economic fabric of nations, and is the greatest impediment to the fulfilment of human potential. Investing in nutrition therefore makes economic sense because it reduces health care costs, improves productivity and economic growth and promotes education, intellectual capacity and social development for present and future generations. Nutrition is a foundation for development, as is elaborated in the UNSCN brief compilation from 2002, designed to facilitate dialogue between nutrition and other development professionals and to make the case for integrating nutrition into the work of the development community. Income poverty reduction and increased food production alone will not solve the nutrition problems of the poor in low income countries. Tackling global nutrition problems is essential for achieving the Millennium Development Goals (MDGs). The critical role of nutrition for reaching the MDGs was the topic an UNSCN Special Information Meeting held with ECOSOC at the UN in June 2005, and of UNSCN News 28 and the 31st UNSCN Session. Moreover, good nutrition is a human right. Nutrition security encompasses many rights, especially the right to adequate food and to the highest attainable standard of health. It includes children's rights to food, health and care as well as survival and development. Besides that, it comprises women’s right to appropriate services in connection with pregnancy, confinement and the post-natal period along with adequate nutrition during pregnancy and lactation. This is the focus area of the UNSCN Working Group on Nutrition, Ethics and Human Rights and the topic of UNSCN News No 18 and No 30. Nutrition is ever more important in the light of the recent financial and food price crises. These crises increase malnutrition among the most vulnerable people in developing countries, with pregnant women and children being the hardest hit. The UNSCN has developed a technical briefing note as well as an advocacy note (2 pages) on the nutrition impacts of the global financial and food crises. On 14 October 2008, the UNSCN held a Side Event focusing on the Impact of High Food Prices on Nutrition at the 34th Session of the Committee on World Food Security (CFS), 14-17 October 2008,FAO, Rome. These recent crises overlap with and deepen the effects other crises. Nutrition remains a concern in emergencies like conflict or natural disaster. The UNSCN Working Group on Nutrition in Emergencies is a very active one and has pioneered cooperation and thinking in the field. One recent achievement was the community-based treatment of severe malnutrition, such as in UNSCN Nutrition Policy Paper 21. The UNSCN Secretariat has through its Nutrition Information in Crisis Situations (NICS) reported on the nutrition situation of refugees, displaced and resident populations affected by a crisis since 1993. Moreover, undernutrition has adverse intergenerational effects that significantly increase its economic and other social costs. This is elaborated in the fourth of the UNSCN Reports on the World Nutrition Situation as well as in the report of the Commission on the Nutrition Challenges of the 21st Century. The UNSCN News No 11 on Maternal and Child Nutrition in 1995 first presented the life-cycle approach. The first ever meeting to discuss low birth weight and how to prevent it, led to the development of a Nutrition Policy Paper No 18. Several UNSCN Working Groups also focus on nutrition across the lifecourse, such as the one on Nutrition Throughout the Lifecycle, or on specific stages of the lifecycle, such as the Working Groups on Breastfeeding and Complementary Feeding and on Nutrition of School Age Children. At the same time the world is also increasingly affected by another sort of malnutrition, namely overweight and obesity which as proposed in UNSCN News No 29 may constitute a new nutritional emergency. The emerging global epidemic of non-communicable or chronic diseases is no longer a problem restricted to affluent, industrialized countries. It is increasingly affecting low income countries and contributing to their existing burden of undernutrition. Thus in low income societies, diseases caused by caloric inadequacy and deficiency continue to persist, but now co-exist with the growing presence of nutrition related chronic diseases; this is the double burden of malnutrition. UNSCN News No 32 and No 33 look at the double burden of malnutrition at the global level and in West Africa, respectively. Micronutrient deficiencies being the risk factor for many diseases, can contribute to high rates of morbidity and mortality and even moderate levels of deficiency can have detrimental effects on human health. They are widespread in industrialized nations, but even more so in the developing regions of the world. Young children and women of reproductive age are among those most at risk of developing micronutrient deficiencies. The forthcoming Nutrition Policy Paper 22 will present a systematic review of multi-micronutrient supplementation during pregnancy in developing countries, looking at how these could improve iron status as well as have an effect on critical outcomes like birth weight. The three most common forms of micronutrient malnutrition are iron, vitamin A and iodine deficiency. Measures to correct these major micronutrient deficiencies are well-known. The recent UNSCN News 35 describes how the control of iodine deficiency disorders through salt iodization has been a major accomplishment over the last decades. Measures to control Vitamin A deficiencies were addressed in Nutrition Policy Papers 13 and 14, whereas Nutrition Policy Paper 9 described measures to control iron deficiencies. Since the inception of the SCN a series of different Working Groups have focused on specific micronutrients, today the Working Group on Micronutrients cover all aspects of vitamin and mineral nutrition. Nutritional status is an outcome of a series of determinants clustered into food, health and care. Each of these clusters is essential but alone insufficient for achieving nutrition security. The UNSCN network addresses the causes of malnutrition at the immediate, underlying and basic level. For example, the Working Group on Household Food Security is concerned with food security of vulnerable households. Others are focusing on interactions between nutrition and health, such as the Working Group on Nutrition and HIV/AIDS. Reducing malnutrition requires attention to the three areas of food, health and care. However, in order to achieve sustainable improvements, capacity development is essential. The aim of the Working Group on Capacity Development in Food and Nutrition is therefore to assist developing regions enhance individual, organizational and institutional capacity in the area of food and nutrition. Diet-related disease has a larger effect on health in Aboriginal communities than smoking and alcohol. Indigenous Australians are 1.5 times more likely to be obese than non-Indigenous Australians. Chronic kidney disease is twice as prevalent for Indigenous Australians. Lower rates of daily exercise, nutrition and food security are major contributors to preventable disease in Aboriginal communities. Indigenous communities in remote regional areas often find it challenging to access nutritious food. As Aboriginal communities lost access to their traditional land, processed, western-style foods replaced traditional nutritious diets. Often, the only food available today in remote Indigenous communities is cheap, processed and highly unhealthy. The standard of health in urban and rural Aboriginal communities cannot improve without action targeting nutrition. Combined with unemployment and low income, transit costs and inflation caused the mining boom have left many Indigenous communities struggling to afford expensive fresh food. In Australia, the challenge to ensure adequate nutritional intake for the entire population poses a major problem. Large numbers of Australians experience obesity due to poor lifestyle choice while others, such as those in remote Aboriginal communities, are food insecure because they do not have access to affordable healthy food. The 2016 Closing the Gap report pays little attention to the importance of improving nutrition. While some states, such as Queensland and the Northern Territory, have had some success in implementing health and nutrition programmes, the holistic benefits of placing nutrition at the forefront of the Commonwealth policy agenda would not be insignificant. Creating access to affordable and nutritious food should be a policy priority to increase food security for Aboriginal Australians, not just in remote communities but in urban areas, too. Greater education programmes targeting Indigenous people to reduce consumption of sugary soft drinks and processed foods should be paired with subsidies on fresh, nutritious food. A previous FDI paper has noted the benefit of community participation in encouraging healthy eating habits, including the development of community and school kitchen gardens, city farms and farmers’ markets to encourage a healthy connection with food. Time and patience is undoubtedly required if meaningful change is to be seen to close the gap. While there have been reductions in smoking rates, increased health checks and improvements to educational outcomes for Indigenous children, diet-related disease remains a significant impediment to social development. Actions targeting nutrition must, therefore, be made a priority for the government’s policy agenda, both for rural remote communities and for those living in urban areas. Health is a key ingredient for alleviating social disadvantage. Enhancing food security has the ability to improve standards of living, reduce the frequency of disease, further scholastic efforts and provide future generations with a better chance of success. Australia has great need for a long-term, bipartisan strategy to ensure health and nutrition gain status as a priority in order to close the gap. Germany will be working to ensure that the G7 summit at Schloss Elmau sends a strong signal for the fight against hunger and for food and nutrition security.” This statement was made by Thomas Silberhorn, Parliamentary State Secretary to the Federal Minister for Economic Cooperation and Development, at the presentation of the Global Nutrition Report. The event was co-hosted by the BMZ, CARE Germany-Luxembourg and GAIN. The Report provides a comprehensive picture of the global food and nutrition situation and highlights the fact that poor nutrition plays a role in all countries of the world, be it in the context of the fight against hunger and malnutrition, be it in the form of anaemia and stunting or in the form of excess weight among children and adults in industrialised countries. As he introduced the Report, Lawrence Haddad, Senior Research Fellow at the renowned International Food Policy Research Institute (IFPRI), emphasised that healthy nutrition was vital to sustainable development in all countries. National governments, civil society and the private sector need to jointly shoulder responsibility for fighting hunger and malnutrition, and they need to coordinate their actions. The findings and recommendations of the report are to inform the debate on the new Sustainable Development Goals that will be adopted by the United Nations later this year. This is not only relevant for the goal of a healthy and balanced diet for millions of people but also in terms of the risks which continuing malnutrition may pose to the achievement of other goals. High-ranking representatives of other institutions were present at the event, including Professor Joachim von Braun, Director of the Center for Development Research; Tom Arnold, coordinator of the global Scaling Up Nutrition Movement; Dr. Wolfgang Jamann, Secretary General of CARE International. US is the largest market for sports nutrition in the world and the category experienced another positive year, with current retail value growth of 11% in 2015 to reach US$6.7 billion. In 2015, growth was driven by the rapid expansion of its demographic base. Whilst sports nutrition products previously targeted core athletes and body builders, greater numbers of casual users have begun using the products as they are more aware of protein’s health benefits and of the importance of active lifestyles. In addition to younger casual users, more middle-aged and elderly consumers are engaged in sports activities including easy exercise like walking. Senior consumers will continue to show greater interest in taking sports nutrition products to gain protein that helps to maintain muscle mass and sustain optimal levels of protein intake. Sports nutrition manufacturers are capitalising on the expanding market by launching new products with less complex formulations, more convenient formats and wider distribution in more frequently visited grocery channels. The new products and increased availability via more popular channels has supported the growth of sports nutrition industry in the US. The foods you choose to eat can have a direct impact on your ability to enjoy life to its fullest. Perhaps the most obvious positive effect of food is the pleasurable feeling you get from eating a good-tasting meal. It might be a plate of grilled chicken, corn-on-the-cob, fresh vine-ripened tomatoes, and a baked potato, or a steaming dish of spaghetti topped with a zesty tomato sauce. Your diet can have long-term effects on your health as well. Diet plays a major role in promoting and maintaining good health, preventing some chronic diseases and treating others, and speeding recovery from injuries. In earlier times, diseases such as goiter and pellagra were relatively common—both are caused by nutritional deficiencies and cured by diets containing sufficient amounts of a particular nutrient. In the case of goiter, iodine is the missing nutrient; with pellagra it is mainly niacin, a B vitamin. These diseases are rare today in the United States because most Americans get enough of these essential nutrients in their diets.In 2012, more than 47 million Americans lived in households that had difficulty putting food on the table and USDA helped provide a hunger safety net for these families. In times of record need, USDA has provided critical nutrition assistance to millions of families. Learn more about how USDA is delivering results and working hard to provide a safe, sufficient and nutritious food supply for the American people. Good nutrition during childhood and adolescence is essential for growth and development, health and well-being, and the prevention of some chronic diseases. Yet many American children’s diets fall considerably short of recommended dietary standards. Furthermore, poor diet and physical inactivity, resulting in an energy imbalance, are the most important factors contributing to the increase in obesity in childhood. Obesity is the most pressing challenge to nutritional health in this first decade of the 21st century (CDC, 1999). The major nutrition issues among children and adolescents have shifted from nutrient deficiency diseases, common in the first half of the 20th century, to concerns today about overconsumption, poor dietary quality, and food choices. However, food insecurity remains a concern among the poor (Briefel and Johnson, 2004). Consuming too few calories or too many nutritionally empty calories is among the most important public health problems, according to Marion Nestle, a New York University professor and coauthor of the book "Why Calories Count: From Science to Politics." Nestle says that the health consequences of overeating -- obesity or diabetes -- and under eating -- depression, irritability or organ failure -- affect billions of people globally. The US is the world's largest economy and its 320 million people produced US$48,000 per capita GDP in 2011. One in five Americans lives in one of the country's eight largest cities. Its consumers expect competitive pricing and offers, and are increasingly concerned about sustainable production, transport and packaging. It is New Zealand's third largest food and beverage market, with US$2.1 billion exports in 2011. US packaged food sales totalled US$332 billion in 2011. The bakery category was worth 21 percent of the total; dairy, 16 percent; frozen processed food, 10 percent; confectionery, 10 percent; and sweet and savoury snacks, 10 percent. Packaged food sales increased by a compound annual growth rate (CAGR) of 2.5 percent during 2006-2011, driven by more meals eaten at home instead of eating out. The highest growth was in snack bars, with a CAGR of 6.6 percent over the five-year period. Pasta grew 5.9 percent in that time, noodles, 4.8 percent; spreads, 4.6 percent; and dairy products, 3.4 percent. Fresh food sales comprised 78 million tonnes by volume in 2011; with meat at 31 percent market share; vegetables, 25 percent; fruits, 23 percent; starchy roots, seven percent; and eggs, six percent. Market growth was stagnant from 2006-2011. The US wine market is the world's second largest behind France, totalling US$34 billion in 2011, equalling 2.73 billion litres. Still light grape wines dominate with an 86 percent market share in value and 91 percent in volume. Sparkling wines have an eight percent share by value and five percent in volume. CAGR sales growth over 2006-2011 was three percent, with imports from Argentina up 13 percent and New Zealand up 40 percent. US organic food sales of US$27 billion in 2010 accounted for 45 percent of the global total, and represented a CAGR of 11.6 percent between 2006 and 2011. The 2011 dairy market was estimated at US$51 billion, representing 15 percent of the global total. Cheese dominates at a 40 percent market share; milk accounts for 34 percent; the yoghurt sector at 12 percent of the total is particularly dynamic. Spreadable fats accounted for eight percent of market share, cream was at five percent, and chilled desserts, one percent. 2006-2011 CAGR was 5.3 percent. By distribution channel, grocery retail sales were valued at US$930 billion in 2011, and foodservice sales estimated at US$445 billion. In 2010, supermarkets had a 36 percent share of the grocery trade, followed by hypermarkets at 29 percent. Grocery retail sales grew by 2.2 percent CAGR from 2006-2011. In 2010 about 37 percent of the foodservice market was fast food establishments, 33 percent were full-service restaurants. CAGR was stagnant at 0.6 percent during 2006-2011. There has been improvement following the recession late in the decade, which hit the foodservice market particularly hard. The major manufacturing hubs in the globe are Europe which constitutes the majority share in the food and nutrition and enhancer market along with North America. European market is a mature market and has several regulatory bodies to regulate stringently the use of food flavours and enhancers, thereby taking care of the consumers of the nations. Germany constitutes the major share having 24% followed by the UK (23%), Spain (10%), Netherland (5%) and Italy (9%). $ 823 million US dollar is the market size by value of the synthetic flavour and $ 755.65 million US dollar is the market size by value of the natural in the year 2014. Asia is the fastest growing region in infant nutrition, at an annual rate of some 19%, largely driven by China. In China, improved living standards amongst the growing middle class and increased health awareness are stimulating purchases. Demand for imported products, regarded as safer since the recent melamine scandal, has been pushing prices up. Currently there are 160 million children aged between 3 and 13 years old in China. A 2012 baby boom in the year of the dragon, together with China’s one child policy, means demand for premium products will continue to grow in the coming years. In China, the number of mothers who breastfeed exclusively for 6 months is reported to be less than 30%. This is partly because baby formula is thought to be healthier and help babies bulk up – which is important in Chinese culture with many people believing that a large baby is a healthy baby. Indonesia is another key country that is driving market growth. It has the world’s 4th largest population, around 22 million children under the age of 4, Asia’s second-highest birth rate and rising wealth. Multinational companies are building new production facilities there to meet the increasing demand – Nestlé has invested $200 million to start production of powdered milk and its Milo drink this year. Baby milk powder producers are linking the health benefits of milk with both mental and physical success, which appeals to their target group of middle-class parents. Since malnutrition had caused the death of millions of young children in Indonesia, the Government has encouraged exclusive breast-feeding from birth until 6 months. However, this is a real challenge for women in a modernising society and more are choosing powdered infant milk as an alternative. -Japan is characterised by innovative use of ingredients, such as prebiotics and specific milk protein fractions. This trend is also rapidly developing in other parts of Asia. Retail prices are much more expensive in Japan than in any other country. This helps companies to invest in research and develop very sophisticated products. The Japanese market is more technology driven, while other markets are more consumer driven. The Middle East and Africa have especially high growth in female labour participation. The baby population is now close to 200 million. These two facts hold the key to explaining strong market growth.Saudi Arabia is by far the largest market in the region and has seen double-digit growth for the past three years. As mothers have gained increasing awareness of their childrens’ nutritional needs, the demand for food products that are natural, fortified and offer health benefits has been rising. Baby milk powders have been present in South America for decades and are usually incorporated as a supplement in babies’ diets. Regular use of powdered milk has become increasingly popular as more women have entered the workforce, leaving them with less time to spend at home and breastfeed their babies. It is common across Latin America for mothers to be given short maternity leave periods – in Mexico mothers have only 45 days of maternity leave before they must return to full time employment. Improving economic conditions mean that more consumers can afford regular purchases. More specialised products have also become available, notably in Mexico and Argentina. • US packaged food sales totalled US$332 billion in 2011. The bakery category was worth 21 percent of the total; dairy, 16 percent; frozen processed food, 10 percent; confectionery, 10 percent; and sweet and savoury snacks, 10 percent. • Packaged food sales increased by a compound annual growth rate (CAGR) of 2.5 percent during 2006-2011, driven by more meals eaten at home instead of eating out. The highest growth was in snack bars, with a CAGR of 6.6 percent over the five-year period. Pasta grew 5.9 percent in that time, noodles, 4.8 percent; spreads, 4.6 percent; and dairy products, 3.4 percent. • Fresh food sales comprised 78 million tonnes by volume in 2011; with meat at 31 percent market share; vegetables, 25 percent; fruits, 23 percent; starchy roots, seven percent; and eggs, six percent. Market growth was stagnant from 2006-2011. • The US wine market is the world's second largest behind France, totalling US$34 billion in 2011, equalling 2.73 billion litres. Still light grape wines dominate with an 86 percent market share in value and 91 percent in volume. Sparkling wines have an eight percent share by value and five percent in volume. CAGR sales growth over 2006-2011 was three percent, with imports from Argentina up 13 percent and New Zealand up 40 percent. • US organic food sales of US$27 billion in 2010 accounted for 45 percent of the global total, and represented a CAGR of 11.6 percent between 2006 and 2011. The 2011 dairy market was estimated at US$51 billion, representing 15 percent of the global total. Cheese dominates at a 40 percent market share; milk accounts for 34 percent; the yoghurt sector at 12 percent of the total is particularly dynamic. Spreadable fats accounted for eight percent of market share, cream was at five percent, and chilled desserts, one percent. 2006-2011 CAGR was 5.3 percent. • By distribution channel, grocery retail sales were valued at US$930 billion in 2011, and foodservice sales estimated at US$445 billion. • In 2010, supermarkets had a 36 percent share of the grocery trade, followed by hypermarkets at 29 percent. Grocery retail sales grew by 2.2 percent CAGR from 2006-2011. • In 2010 about 37 percent of the foodservice market was fast food establishments, 33 percent were full-service restaurants. CAGR was stagnant at 0.6 percent during 2006-2011. There has been improvement following the recession late in the decade, which hit the foodservice market particularly hard. Unhealthy eating and physical inactivity are leading causes of death in the U.S. diet contributes to approximately 678,000 deaths each year in the U.S., due to nutrition- and obesity-related diseases, such as heart disease, cancer, and type 2 diabetes.1 In the last 30 years, obesity rates have doubled in adults, tripled in children, and quadrupled in adolescents. Research clearly shows that the federal nutrition programs do not contribute to the current obesity crisis in the U.S. (Fan & Jin, 2015; Gleason et al., 2009; Hofferth & Curtin, 2005; Linz et al., 2004; ver Ploeg, 2009; ver Ploeg et al., 2008). In fact, by both improving dietary intake and reducing food insecurity, participation in the federal nutrition programs plays a critical role in obesity prevention. For this reason, public health and nutrition experts recommend increasing participation in the federal nutrition programs to promote healthy eating and prevent obesity (Institute of Medicine, 2009; Institute of Medicine, 2011; White House Task Force on Childhood Obesity, 2010).Participation in the federal nutrition programs improves dietary intake, which is critical in combating the current obesity problem. Consider the following selection of recent findings:School meal participants are less likely to have nutrient inadequacies and are more likely to consume fruit, vegetables, and breakfast and lunch (Clark & Fox, 2009; Condon et al., 2009).Low-income students who eat both school breakfast and lunch have significantly better overall diet quality than low-income students who do not eat school meals (Hanson & Olson, 2013).The new school meal nutrition standards are having a positive impact on student food selection and consumption, especially for fruits and vegetables (Cohen et al., 2014; Cullen et al., 2015; Schwartz et al., 2015).Packed lunches brought from home by pre-kindergarten and kindergarten students have more calories, fat, saturated fat, and sugar than school lunches, and less protein, fibre, vitamin A, and calcium, according to a study conducted after implementation of the new school meal nutrition standards (Farris et al., 2014). Few packed lunches and snacks brought from home meet National School Lunch Program standards and Child and Adult Care Food Program (CACFP) afterschool snack standards, respectively (Caruso & Cullen, 2015; Hubbard et al., 2014). Children in afterschool programs consume more calories, salty foods, and sugary foods on days they bring their own snack than on days they only eat the afterschool snack provided through the National School Lunch Program or CACFP (Kenney et al., 2014). Child care sites participating in CACFP, especially Head Start centers, serve more fruits, vegetables, and milk, and fewer sweetened beverages, sweets, and snack foods than non-participating child care sites (Ritchie et al., 2012). Global progress in improving human nutrition will continue, but in numerical terms it will be slow. Even by 2030, hundreds of millions of poor people will remain under-nourished unless local food production is given higher priority and inequality of access to food is reduced. However, the lower incidence of undernourishment will make the problem more tractable through national and international policy interventions.progress in nutrition have been significant. • It is possible to achieve the goal of halving the proportion of people living in absolute poverty - defined as an income below US$1 per day - by 2015, over the 1990 level. • However, it is unlikely that the number of poor people can also be halved. This will decline from 1.27 billion in 1990 to 0.75 billion in 2015. • Much of the decline will be due to development in East and South Asia. Indeed, about half of the decline of 400 million projected for East Asia has already occurred. •Only in sub-Saharan Africa, where incomes are expected to grow very slowly, are the numbers living in poverty expected to rise, from 240 million in 1990 to 345 million in 2015. By then, two out of five people in the region will be living in poverty.Average nutrition will improve, but under-nourishment will fall only slowlyIn the light of these changes in population and incomes, progress in improving nutrition is expected to continue, though more slowly than in the past. Average per capita food consumption in developing countries is projected to rise by 6.3 percent, from 2 680 kcal in 1997-99 to 2 850 kcal in 2015. This is a third of the rise achieved between 1974-76 and 1997-99.The slowdown is occurring not because of production limits but because many countries have now reached medium to high levels of consumption, beyond which there is less scope than in the past for further increases. Huge countries such as China, where per capita consumption rose from 2 050 kcal per day in the mid-1970s to over 3 000 kcal per day today, have already passed the phase of rapid growth. More and more countries will be attaining such levels over the projection period. The more we eat healthy, the less natural it feels to reach for a piece of cookie or a bag of chips when we get hungry. It is then not a matter of depriving ourselves or forcing ourselves, but simply a conscious recognition of respecting what feels the best for our body in the long-term run.When we eat healthy, we physically feel good. We mentally have more energy to do the things that matter. When we are both globally conscious and personally healthy in our eating choices, we are contributing to the welfare of the planet. Our decision to practice healthy eating habits has so many consequences in so many ways. Now that you have all the information you need on eating healthy, the most important action step you can do is to maintain this lifestyle choice as much as possible. Post intents when you need motivation from others. Keep a diary of your food choices on your blog or journal. Talk to other people when you are feeling tempted to indulge in unhealthy desserts. Eating healthy, after all, is not about losing your ability to enjoy indulgences. It is a matter of gaining so many things that will affect you for the rest of your life: a longer life, the ability to enjoy natural foods, a wholesome sense of self-esteem and the joy of respecting your body for all that it does for you.Populations and incomes will continue to growFuture food consumption patterns are deter-mined by growth in population and in incomes, and by changes in dietary preferences.The latest projections by the United Nations (UN) show a continuing slowdown in the growth of the world's population. In the medium UN projection, the 6.1 billion people of 2000 will grow to 7.2 billion in 2015 and 8.3 billion in 2030, heading towards 9.3 billion in 2050.Global progress in nutrition: energy intake levels by percentage of the world's population, 1964-66 and 1997-9Perceptions of a continuing population explosion are false. In fact it is more than 30 years since the world passed its peak population growth rate, of 2.04 percent a year, in the late 1960s. Since then the growth rate has fallen to 1.35 percent. This is expected to fall further to 1.1 percent in the period 2010 to 2015 and to 0.8 percent in 2025 to 2030. There will be a corresponding slowdown in the growth of demand for food. The absolute numbers added each year are also past their peak of 86 million a year, reached in the late 1980s. Even so, current annual additions of around 77 million still amount to almost a new Germany each year. The yearly increments will taper off only slowly during the study period: even by the period 2025 to 2030 they will still be running at 67 million a year. It is only by the middle of the century that these increments will have fallen significantly, to 43 million per year in 2045 to 2050. Almost all of these increases will be in the developing countries. It was a pleasure for me to participate. It was a pleasure for me to attend, to give a speech and to know interesting. I am glad, i was there. I learned a lot. Great experience. Many great speakers on cutting edge research. Interesting presentation & worthful spirit of exchange of experience!! Thank you for offering an unforgettable experience for all of us. We are honored to attend the conference. We are so happy and thanks a lot.